The 2018 World Cup has officially kicked off and we look forward to watching teams from around the world compete for the ultimate W until July 15th! 32 teams will compete in taking home the title of world champions and be given the opportunity to compete in the 2021 Confederations Cup. Complete your bracket challenge to get involved with the tournament then challenge your friends! Loser has to buy the beer? We’re in! Though the games are hosted in Russia, (you can find the full schedule of games here) Charleston Beer Works will be showing matches all month long and we’re inviting you to let your inner soccer fan out! We’ll be open at 10:30 am on Fridays, Saturdays and Sundays throughout the World Cup, keeping the beer flowing and burgers coming. We’ll also be rolling out specials all month like $10 Bud/Bud light pitchers and Chef B’s Kickin’ Breakfast Tacos. 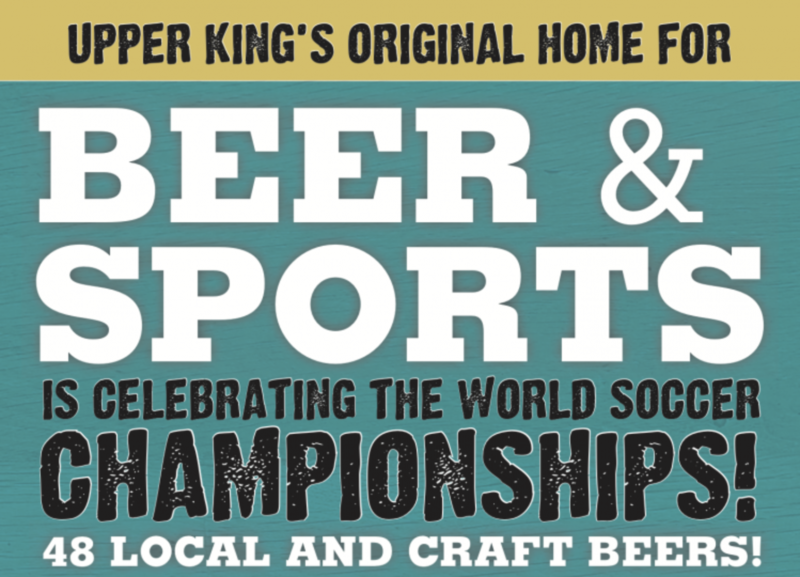 There’s no better duo than beer and sports and we’re Upper King’s Original Sports Bar, so make sure to stop by! G-O-A-L!! !